With yet another super-oil on the market, we explore the benefits of this rejuvenating ingredient that nourishes dry skin. Sea Buckthorn oil is derived from a hardy shrub that grows in the mountainous and coastal areas of Asia and Europe. Its popularity has increased over more recent years due to its healing and rejuvenating effects on the skin. Its nourishing texture penetrates on a deeper level, benefiting the tissues in your skin and body. Oil is harvested from both the Sea Buckthorn fruit and seed. Two types of oil can be extracted from the small, nutrient-rich and yellow-orange berries found on the shrub: seed oil and fruit oil. The seed oil is extracted from the small dark seeds, while the fruit oil comes from the fleshy pulp. We recommend the Skin Juice’s cult Superfood Face Oil to plump the skin. Both the fruit oil and seed oil share somewhat similar nutritional profiles – they both have the Omega fatty acids, tocopherols and tocotrienols (Vitamin E), and carotenoids (Vitamin A). Although they share some similarities, there are a few distinctions between the two oils. Not only do they have visually distinct differences in colour – the fruit oil being a rich red, and the seed oil a pale orange – they also have highly different fatty acid profiles, which allow them to target different needs. The fruit oil contains Omega 6, and the rare and highly sought-after Omega-7. The seed oil contains Omega-3 and 6, and also highly potent in Omega-9. The fruit oil has many more topical benefits due to its Omega 7 profile, responsible for soothing skin and mucous membranes gives the oil its skin regeneration and repair properties. The Omega-9 found in the seed oil is the portion of the oil that has the ability to nourish and protect the skin, fantastic for dryer or more mature skin types. Combining the two oils in proper ratios allows the skin to receive the full benefits of the Sea Buckthorn plant. 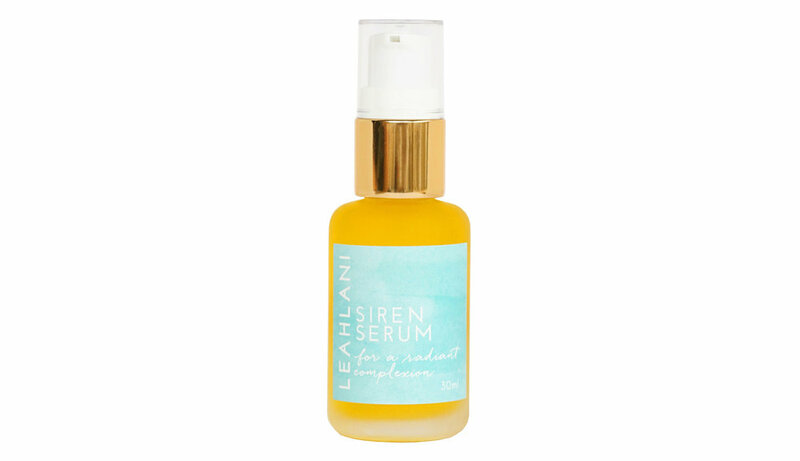 Siren Serum by Leahlani Skincare is a ‘radiant and skin-brightening serum infused with vitality boosting micro-algae and organic and cold pressed oils rich in Vitamin C + A’ featuring Sea Buckthorn Oil. As we get older, oxygenation of skin cells becomes less. The miracle of Sea Buckthorn Oil is that it has the ability to improve blood circulation, stimulating oxygen flow in and out of skin cells as it penetrates through the epidermis, effectively inhibiting the ageing process. In the case of irritated or congestion skin, Sea Buckthorn Oil is effective in removing excess toxins through from the body, and protects the skin further against infection, allergies, and essentially eliminating inflammation. Is Sea Buckthorn Oil new to you? What other oils or ingredients have you coveted in the past? What sort of effects are you looking for from your skincare products? Tell us all about it by leaving a comment in the feed below.